The condition of your building now, and its potential condition in the future, impacts decisions about your budget, repairs and maintenance, and construction projects down the road. Without a building condition assessment, however, you are simply guessing at what kind of shape your building is in, and what needs to be done to keep it in good repair. Developing a comprehensive building condition assessment, your company and its facilities staff can create a cost-effective strategy for your property. Why Develop a Building Condition Assessment? It’s important to understand how things age and how buildings work. Without this specialized knowledge, your staff is left to simply observe as things start to break down. All buildings age in different ways, and all buildings need some help via repair and maintenance. Understanding how your individual building condition fluctuates is one of the main reasons to develop a plan. If your building begins to show signs of wear, tear, and age, you will eventually get complaints from people who use the facilities. Keeping up with a building condition assessment will give you an idea of which areas will need to be addressed in advance, so you can take a proactive approach and avoid complaints. A building condition assessment also allows for prioritization. Understanding all the complexities of repair and maintenance in your facilities, you can map out a long-term plan and focus on what needs to be fixed first. Long-term investments can be planned into budgets, and property considerations can be tied into an overall master plan. Instead of guessing at how to take care of your building, or reacting after things have already broken down, you can be at least one step ahead at all times. When it comes to areas of regulatory obligations, a comprehensive building condition assessment will uncover areas where you are out of compliance or headed that way, so you can meet those obligations before it turns into an expensive, dangerous problem. Schools, hospitals, and other community buildings generally fall under one accessibility requirement or another, and meeting those regulations is not just the law, it’s the right thing to do. There are many benefits to a building condition assessment, both for your current facility management, and for identifying deficiencies, requirements, goals, and plans for the future. Having this knowledge is important for buildings of any scale, across any industry. There are many factors that go into assessing a building’s condition. You should consider all of these, and any other circumstances that specifically impact your facility. An architecture firm can assist in understanding building condition as well as developing a master plan for your facilities. Your building condition can be benchmarked as it is, with a physical inspection of the exterior and interior, including any mechanical or electrical systems. 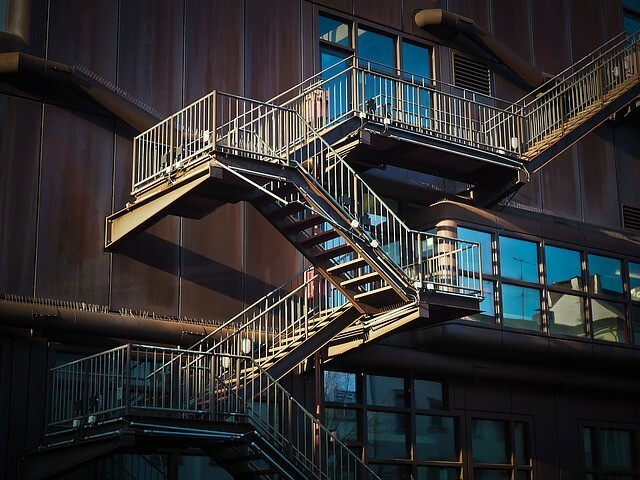 Areas highlighted in a building condition assessment may include structural and foundation systems, the roofing, exterior envelope, interior walls, doors, and finishes, parking garages, plumbing, boilers, any elevators or escalators, and site components like lighting. The safety of the building and its safety systems also impacts its condition, as any kind of emergency should be managed quickly and effectively or the entire structure is at risk. The accessibility compliance of the building can also be assessed as bringing a building into compliance would fall under the area of repair and maintenance, and budgeting for facility upgrades. Getting knowledge from staff and historical documents also helps with benchmarking the current status of the building. Facilities and maintenance staff, and their documentation should paint a fairly accurate picture of historical repair and maintenance needs, which can inform future predictions. Consulting with professionals like architects, engineers, and other experts can assist in this process as well, to get an opinion from someone with extensive knowledge and experience. All of that, and any other applicable information, goes into a full documentation of perceived issues and deficiencies inside and out, how far current structures and systems are into a predicted lifespan, and a list of the areas where a building’s condition needs to be addressed. The prioritization of these issues can be done right away, or after the benchmarking document is complete. Anything that is in dire need of repair for safety, lifespan, or compliance should take priority. A comprehensive building condition assessment may include photos of the site, grounds, structural systems, building envelope, mechanical systems, interior components, and areas that involve compliance regulations. SSP Architects is your community architecture firm in NJ, with a strong understanding of buildings, how they work, and how to maximize efficiency, safety, and design for both beauty and function. We are pleased to offer our services to clients in New Jersey, and encourage you to contact us today to learn more about what we do.